How to Solve Aircon Trunking Condensation? It is very possible to solve aircon trunking condensation. However, you have to know why the problem began in the first place. In fact, you have to understand what aircon trunking condensation is before you look for the right help. Condensation in the trunking is normal and it happens when your house is warmed or cooled. Moisture droplets will form and they have to be channeled somewhere. Normally, there are two ways to take care of this moisture; first through the primary drip line and then through the backup drip line. When these lines are not working properly, some droplets will start to form or leak from the air conditioner. The following are some of the top problems that might be wrong causing condensation. When the aircon insulation is not thick enough, this will definitely cause aircon trunking condensation. It is really not your fault because the company that installed the insulation should do a better job. In this regard, it is always wise to work with a Singapore company that has a proven track record of installing high quality insulation for your aircon system. In addition, you have to choose a maintenance company that will provide the right insulation material with appropriate thickness. This will be in a position to provide you a better service over a longer period of time. Another cause of trunking condensation in the trunk is poor installation. This happens when spaces are left between the trunks and when the water droplets cool, the leaking will be experienced. The only way to solve this problem is to have a good Singapore aircon company install your system. Do not just go with any company but take time to look at the type of service they offer. If they meet the quality, you can have them install your aircon trunking system. This is another common reason why the condensation happens. Through the pipe blockage, the moisture is not able to drain properly and therefore it starts to leak. The only way to solve this problem is to hire an aircon technician who will be able to unblock the system. They say prevention is better than cure and it is possible to avoid aircon trunking condensation in the first place. All you have to do is to hire the right professional to do your installation. The following are some of the most important traits to consider before hiring an expert in Singapore. 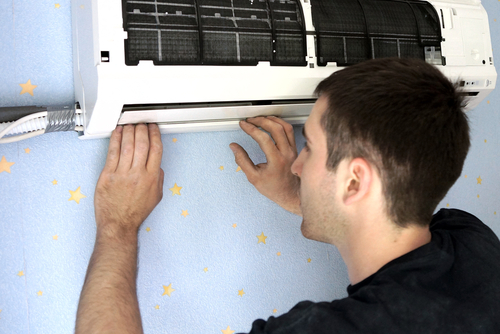 Follow up services where aircon systems are concerned are very important. This is because problems like trunking condensation can be easily avoided. Further, this will see the customer spend less money for repair purposes. A company that is willing to maintain good customer relations in Singapore should be able to provide these follow up services for their customers. The good news is that there are many such companies and your search will not be too long. Go for companies that are willing to take the full responsibility if their installations do not satisfy you; specifically when it comes to the problem of condensation. The aircon company in Singapore must be insured because this is a statutory requirement. 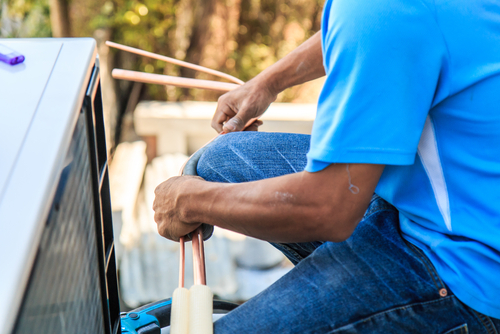 For this reason, if anything happens when the repair is going on, you can rest assured that you will be covered. In this regard, the precaution works very well. Do not choose a company that has not provided proper documentation regarding insurance. This will make it hard to solve your problems when they arise. You cannot consider an aircom service that has not been properly certified and licensed to provide services in Singapore. Hiring rogue technicians might be the source of your problems. 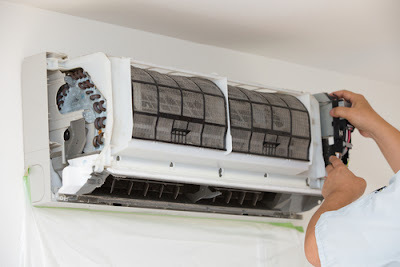 You do not want to make your aircon issues worse and the best way to do it is to work with people who have the right qualifications regarding licensing and certification. Do not take the word of the company for it even if they have very good adverts; follow due diligence and work with people who can be trusted. Hire the services of a company that has created a good reputation for itself. When others readily refer a particular company, you can be sure that their quality is above reproach. Also, go online and read the user reviews and if they are good, you can consider them. A good service is one that has competitive pricing. Rates should favor your budget without compromising on quality. On the other hand, do not just hire services because they are the cheapest. You need to know that cheap can be expensive. You must be driven by the quality of work that will be delivered. To solve your problems among them trunking condensation, you need services that will do away with the problem in a professional manner. It is vital to choose a Singapore service that has a wealth of experience in providing services. This way, you will know that you can rely on them for repair and installation. The technicians must have good training and with ample experience to solve your problems. The tips above will help you choose the right services to solve trunking condensation and others. This problem can be made worse by unqualified technicians who will not be able to solve the condensation issue properly. Additionally, some services might install insulation that is not thick enough for malicious purposes. Others will not be able to get rid of blockages in the right manner. Some technicians who are not qualified cannot even install the trunks in the proper way. Therefore, you have to look at the bigger picture when you are thinking about how to solve aircon trunking condensation. It has to start with the right service and products; and you have the power to make a good choice. In the end, this will save you not just heartache but money as well. There are many other elements to consider but this is an insight.